Colombia’s largest mainstream news outlet El Tiempo is currently reporting on a public forum that was held in the Bogotá Council. 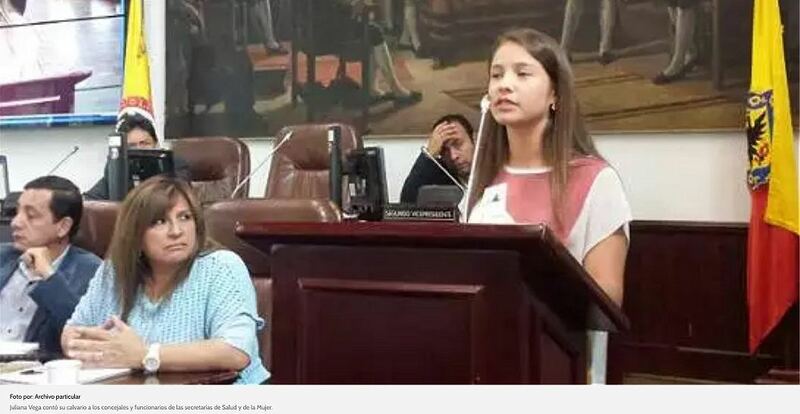 The forum heard testimony from doctors, lawyers, politicians, health ministers and numerous HPV vaccine-injured girls in an effort to determine the country’s next steps concerning its HPV vaccine program and treatment of the massive numbers of vaccine injuries caused by the shot. Define HPV? "Help Pay for Vioxx." Another pharma experiment gone bad. I think it's great that they are addressing this issue in the mainstream media down south.Especially with the media black out on the subject of vaccines right here in the good ole U.S of A. My only concern about this is that big pharma will get their drones in congress to mandate even more dangerous and unneeded vaccines here to make up for the loss of profits because of what's going on down there. Like a Zika vaccine or even more flu shots.